Over the years, political leaders, professional athletes, celebrities from film and music, and foreign dignitaries have chosen Miami Country Day School for their children's education. Miami Country Day alumni have gone on to successful careers in politics, business, entertainment, and a host of other promising fields. Having their own gallery, Taplin Gallery, art is a very important part of the education at Miami Country Day School. 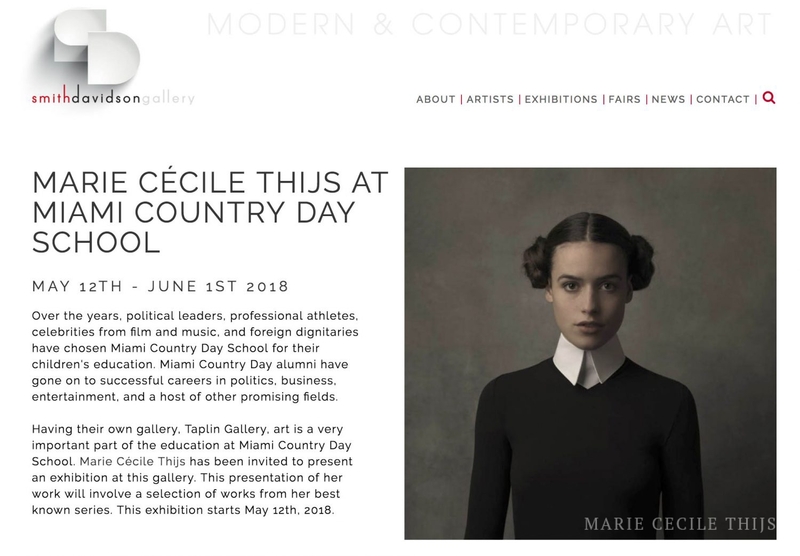 Marie Cécile Thijs has been invited to present an exhibition at this gallery. This presentation of her work will involve a selection of works from her best known series. This exhibition starts May 12th, 2018.